about this book: I wanted to write a vampire book. I've always enjoyed the genre but I wanted to do something a little different. I started my saga by making the main character, César, more than a hunky vampire. My primary challenge was to make him so evil that hatred was a gut reaction. Yet, I wanted my readers to care about him. I succeeded, I think, because love has a way of making even a vengeful demon vulnerable. Love also describes the relationship between the Thrust sisters, Angelina and Rachel. Rachel summons the dark magic to infect her younger sister. The irony is that she had fought against the practice her entire life. In fact, their mother had been murdered because she too had refused to indulge. Still, Rachel easily called up the magic rather than surrender Angelina to an inevitable death. Rachel's tragic solution transforms Angelina into a zombie/vampire/priestess hybrid. In essence, yes this may be a vampire story but at the core of my Gothic tale is family and romantic love. • "Coleman's writing is melodious, rhythmic, and lyrical. 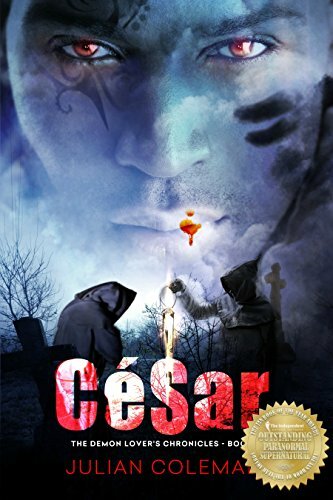 César could join the ranks of Bram Stoker's Dracula, Stephen King's Salem's Lot, Anne Rice's Vampire Chronicles, and John Ajvide Lindqvist's Let the Right One In." — Lee Gooden, Foreword Clarion Reviews.